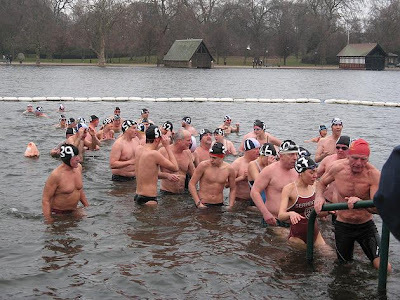 Whilst you're relaxing at home on Christmas Day, wondering whether to get out of bed, down in Hyde Park the members of the Serpentine Swimming Club are preparing for a different sort of treat. Every year since 1864 they have come together for a 100 yard Christmas day swim now known as the 'Peter Pan Cup', in reference to Peter Pan creator JM Barrie, who was a patron of the race. 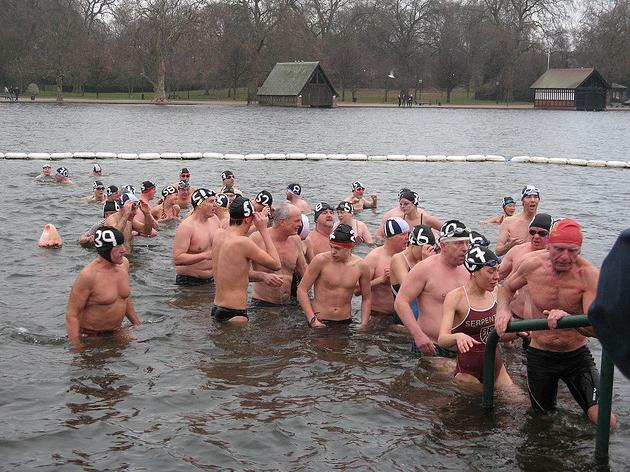 The race is only open to members, on a handicap system, as it is thought that for anyone who has not spent the time getting used to swimming in waters usually around 4 degrees centigrade the shock could prove fatal. Unfortunately, this means your author will not be allowed to take part, which really should be considered a blessing. They are correct, cold water shock can be a killer, even in the summer when the air temperatures are very warm, that is why you should never jump or dive into water.